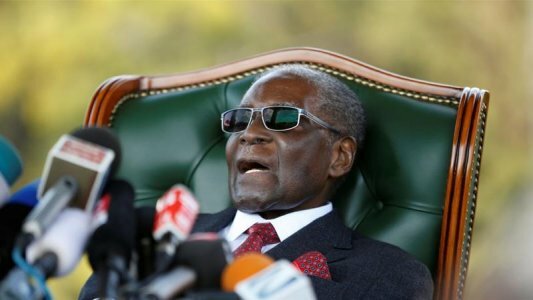 The post Ill Mugabe in Singapore appeared first on NewsDay Zimbabwe. We hope this is not his usual shopping trips camouflaged as some medical trip as he has always been the case in the past. Not that I care whether is sick or not, neither am I happy if he is there for real medical reasons. NO; not at all. Only worried of the truthfulness of his reason for being their and also about we suffering Zimboz have foot the bill for any of his escapades?. Yes, of course, at his age he it is obvious the guy is perpetually ill. But is it the real reason why he is in Singapore? But more important, why burden us with his bills whilst we die in former hospitals that he reduced to mere pig-sties with no medical value to talk about? So, kana achitorwa chaizvo-chaizvo I can only pray that the mighty heavenly powers quickly relieve us of this heavy burden on our shoulders – ones and for all. Singapore is not only RGM’s medical cover but it is also where his world wide finances are safely stashed. Singapore pretends to be squeaky clean but it competes with Switzerland today as one of the worlds centres for dubious money safe keeping.